Rated 5 out of 5 by littlehalle from Great game! This game is very fun as is part 2 as well. I've beat both games and acquired all the trophies many times with the exception of the one for beating the game in one day. Since I'm one of those who wants to get all the trophies, I've been trying to figure it out and finally got it. Somehow the game knows what the date is because I started around 1pm and played throughout the day, finishing around 9pm. The trophy actually displays the date. Wanted to share because I didn't think it was possible to obtain. Enjoy! Rated 5 out of 5 by bigfish414 from Great game! One of my favorite games. Highly recommend. 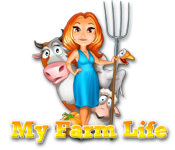 Rated 5 out of 5 by kraftypixie from Green Acres Is The Place To Be That was what I named my farm in the game. Seemed fitting with Lisa showing up to the farm in high heels & a dress. This is a gem of a TM game. I own both this one & the second in the series & this one is my favorite. It's an easier pace & it doesn't take more than a few tries to get the best score on any level. 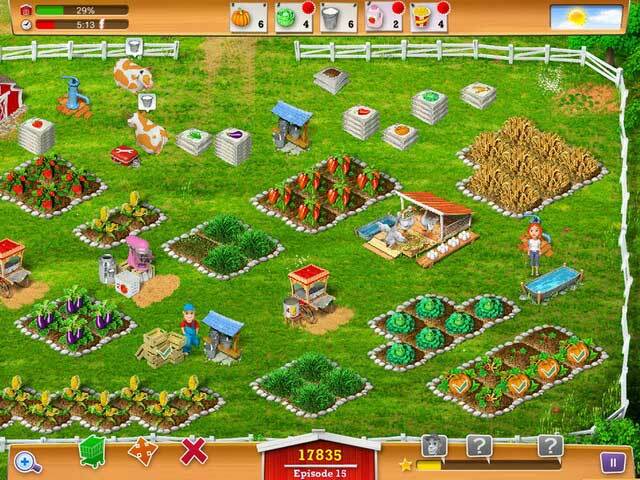 I loved rearranging my farm & planning my crops & merchandise. The robbers were not so great, but if you learn to keep stacking actions while circling your field (til you can afford the dogs), then you'll be fine. Looked forward to more in this series. The games will always be an insta-buy for me! Rated 5 out of 5 by angie0310 from nice time management game a very nice TM game. you really need to think for some levels. I have a lot of fun playing it!! Rated 5 out of 5 by khrystain from ADDICTIVE This is the first game I have ever completed and played again, and again! I enjoyed it and part 2 very much. Hope there is a 3 in the future. Rated 5 out of 5 by katyabird2012 from Love the Game but I'm stuck I am stuck on the first game and the second. I can't finish an episode. I have tried it over 10 times and the closest I get is still with 2 or 3 things left. I have tried to find a walk through or tips and can't find any help anywhere. I am kinda aggravated cuz i love the game but can't go on. Rated 5 out of 5 by OldLady12 from Great game! Fun to play over & over Bought this game when Big Fish first released it and have played it over & over. 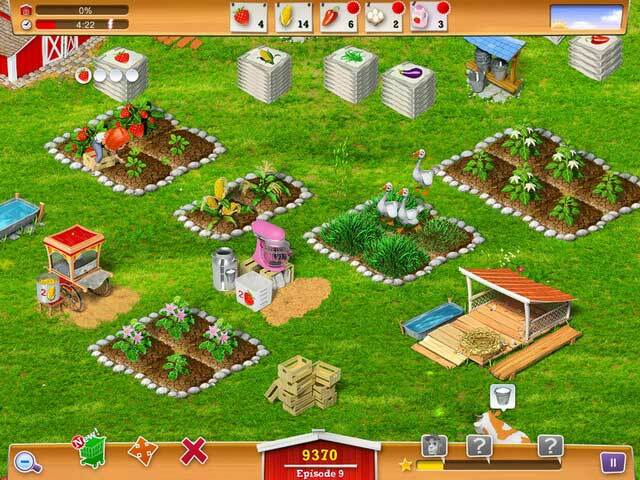 It's fun that you can pretty much design your own farm and there are many levels to achieve and fun products to make with all the produce you grow. 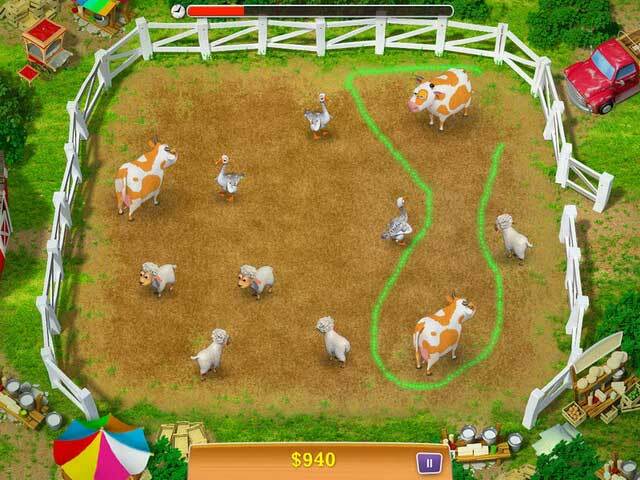 It's a very addictiing game and loads of fun for the whole family. Rated 5 out of 5 by SimbaKomba from I Love it! This would have to be my favourite game at the moment. It's very similar to Ranch Rush in that you need to grow/pick crops & look after animals to meet orders and in addition to make more intensive products - such as jams and chocolate. It's not as challenging as Ranch Rush, but that's a good thing. RR could at times become hair pulling, but Farm Life is a little bit easier - but still a challenge. I'd recommend this game for any level of player. Rated 5 out of 5 by Marta21 from Love it I like time management games in general, and this one is one of my favorite ever. One of the thing I like the most is that there are many levels to play! Rated 5 out of 5 by tammy2u from Love this game. Addicting! This game has excellent graphics.